Nothing in life is permanent, not even your boilers and from time to time accidents do happen. Business that use boiler may experience failures from time to time and this may affect their productivity. However, as a business person, you should always be ready for anything including such inconveniences like boiler defaults. In that case, to avoid setbacks, you should be set for boiler repairs and maintenance way before it happens. This will ensure peace of mind as you go about your business. Many will wonder how to go about it. Sometimes it is a hurdle to get the right company to service your boilers. There is no need to worry, ST Heating Services Ltd, is a renowned contractor in boiler maintenance services. There are several ways to ensure that you are prepared in the event the boiler malfunctions. To facilitate the repairs, you need to take the necessary steps to ensure smooth and speedy process. To begin with, ensure you follow the right procedure for disconnecting the boiler. Most boilers come with an easy-to-use manual for the operator. It is important to switch off faulty appliances to prevent further damage and possible accidents. ST Heating Services is an expert in boiler maintenance. We are just a call away and our customer help assistants are always ready to take your queries. A technician will then be dispatched immediately to assess the issue. In the case of a replacement, we will be responsible for the draining and hauling off the old boiler to accommodate a new one. Our technicians will replace it in the most professional way to ensure that they do not disrupt your business. A portable rental boiler may be availed if need be. ST Heating Services Ltd’s efficiency, superior services and pocket-friendly products will leave you satisfied. The next thing is to ensure that you clear the way for easy movement for the service men and their equipment. This is also to provide the shortest route for the change of the boiler units. Check for any item that may hinder smooth movement or get damaged during the process. Since the goal is to reduce inconveniences to the normal operations of the business, it is best to carry out this process on a time when there will be minimal disruptions. This also helps to prevent someone getting hurt. 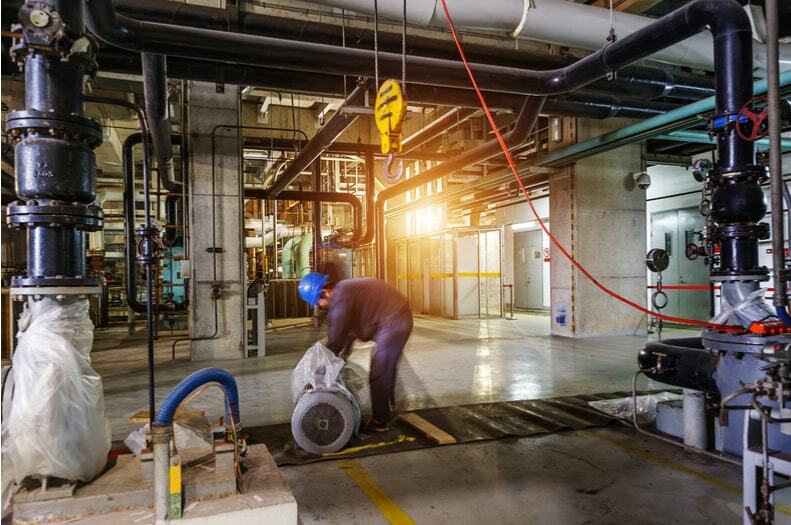 First, confirm the specific day and time for the boiler repairs, and then communicate in advance with your employees to avoid last-minute rush. Ideally, it is best to have the repairs done on weekends or in the evenings. ST heating services’ rapid boiler repairs and plumbing services work round the clock to bring you world class services rapidly. Similarly, the team will educate you on how to maintain your boiler. Getting the appropriate knowledge on your appliances allows you to take care of them thus enhancing their effectiveness and excellent performance. With ST Heating Services Ltd., you’ll always be a winner.